These jalapeno popper recipes make parties and ordinary dinners spectacular. You have probably had jalapeno poppers at almost every tailgating party or holiday get-together for years. 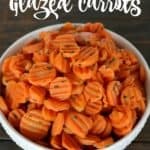 They are perfect pub food and easy to make. The best thing is, the flavor combination doesn’t have to stay traditional and you can find jalapeno popper inspired recipes all over now. 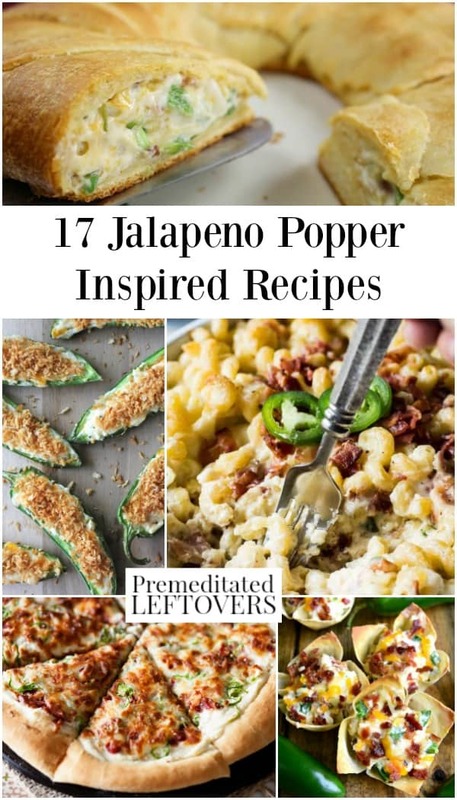 Here are some of the best jalapeno popper recipes I could find while scouring the internet and looking for new ways to enjoy jalapeno popper flavors. Make Jalapeno Popper Dip for an easy way to make this classic favorite for a crowd. 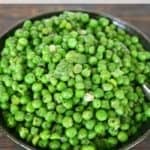 It is great with chips or veggies. This Jalapeno Popper Crescent Ring is the ultimate party food you didn't know you needed! Spaghetti Squash is a great vessel for anything from casseroles to side dishes. This time, it’s made extra delicious with Jalapeno Popper Stuffed Spaghetti Squash. If you are on a gluten-free diet, these Gluten-Free Jalapeno Popovers are a great alternative to jalapeno poppers. Start things off with a side dish of this Jalapeno Popper Garlic Bread from Crunchy Creamy Sweet. Jalapeno Popper Burgers from The Burger Artist are a great way to enjoy this snack favorite and turn it into a great mashup of another classic favorite. I’m already salivating at the idea of these Mini Jalapeno Egg Rolls from Shared. What an amazing way to make these creamy and spicy favorites. Get a bit creative with the standard recipe with these Three Cheese Jalapeno Poppers from Damn Delicious. 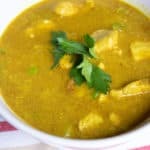 I can’t believe how creative some of these recipes are! Check out this recipe for Jalapeno Popper Dogs from Delish and make summer grilling an adventure this year. This Jalapeno Popper Grilled Cheese from Small Town Woman is a great way to change a plain, boring grilled cheese into something more exciting. Jalapeno Popper Wonton Cups from Lemon Tree Dwelling are another genius way to make this flavor combo with a quick method. Make this Jalapeno Popper Chicken from Aunt Bee’s Recipes for the perfect meal if you are on a low-carb diet. I can’t get over how delicious this Jalapeno Popper Macaroni and Cheese from The House of Yumm sounds. I will have to make this one soon. No list would be complete without a few kid favorites and pizza is definitely at the top of that list. Give this Jalapeno Popper Pizza from Ice Cream and Inspiration a try next time pizza night rolls on in. Jalapeno Popper Turkey Chili is a new and exciting twist on jalapeno poppers that’s sure to be a hit at the dinner table. For a flavor-packed twist on potato salad, try this Jalapeno Popper Potato Salad. 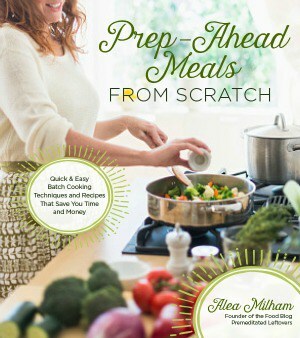 Alea Milham is the owner of Premeditated Leftovers and the author of Prep-Ahead Meals from Scatch. She shares her tips for saving money and time while reducing waste in her home. Her favorite hobby, gardening, is a frugal source of organic produce for her recipes. 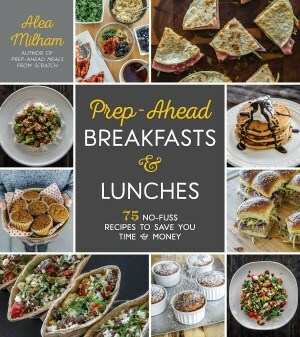 She believes it is possible to live fully and eat well while spending less.